This year, Belagavi will have Maza Bappa, a mobile app made exclusively for Ganesha festival. BELAGAVI: This year, Belagavi will have Maza Bappa, a mobile app made exclusively for Ganesha festival. It will facilitate any devotee across the globe to see photographs of Saravjanik (public) Ganesha idols and their decorations of Belagavi on their mobile phones. Shreyas Shrikant Patil, a Belagavi youth has designed and launched the free app in Playstore. 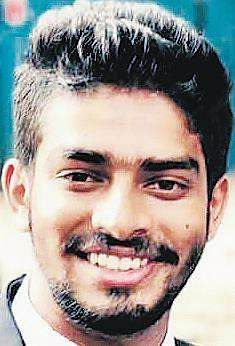 The 24-year-old Patil of Vijay Nagar in Belagavi who is working as a software engineer in a private company in Bengaluru wanted to contribute something to his hometown and found the annual festival the right occasion. Patil said Maza Bappa will provide service only for 21 days (during the festival). This app has two pages - one is exclusively for Mandals and the other for individuals. Patil provided user names and passwords to the members of Saravjanik Ganesh Utsav Mandals of Belagavi for uploading the latest photographs of their Ganesha idols and decorations. In the individual column, any person can register and post photos of domestic Ganesh idols. If viewers spot inappropriate photograph posted in the app, they can click on spam and the administrator will remove it, he said.